Today is Mother’s Day and also my son Nate’s thirteenth birthday. I am so lucky to have a mom and be a mom, and I’m happy to celebrate this day with my mom and Nate. As per tradition, I will be baking Nate’s birthday cake today. When I searched this blog for “cake,” I was surprised but not completely shocked to see so many cakes come up. Since working full-time (just celebrated my one year anniversary, hooray for me! ), my baking has pretty much been limited to birthday cakes these days, with the occasional PMS-induced batch of cookies and brownies thrown in. 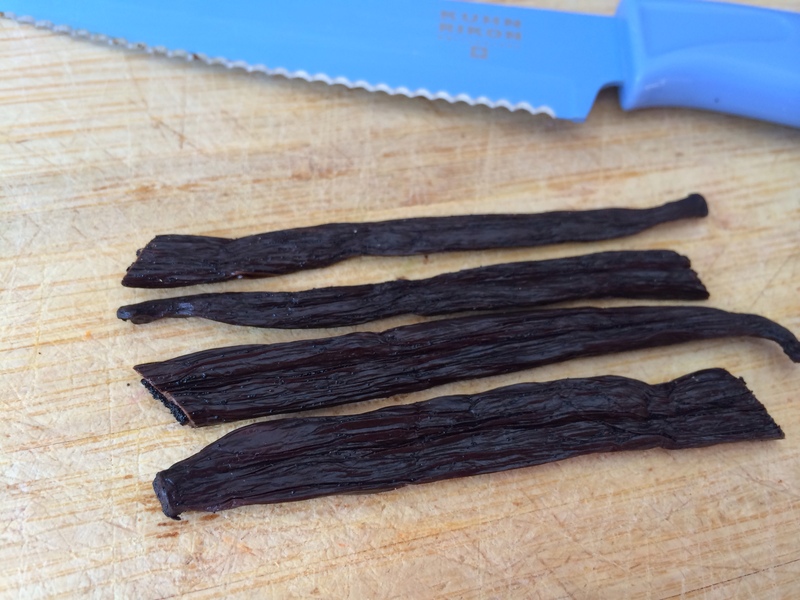 Nevertheless, there is one ingredient even the very part-time baker always needs to have on hand: real vanilla extract! 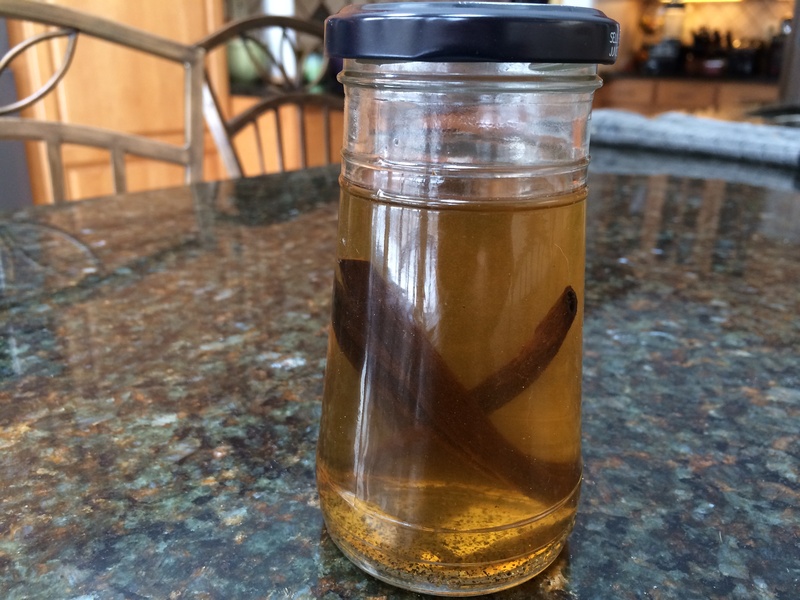 I’ve been making my own vanilla for several years now. It’s the easiest thing in the world, and if you bake more than a few times a year, it’s also economical. There is something extra special, too, when you use ingredients you’ve grown or created. And by extra special, I mean superior and a little braggy, let’s be honest. Thoroughly clean and sterilize any small glass jar, about 8 to 10 ounces. With a sharp knife, split the beans apart in two and place in jar. Cover with vodka. Shake. Keep in dark, cool place. Once a week, give it another good shake. In about one month, the vanilla is ready to use. 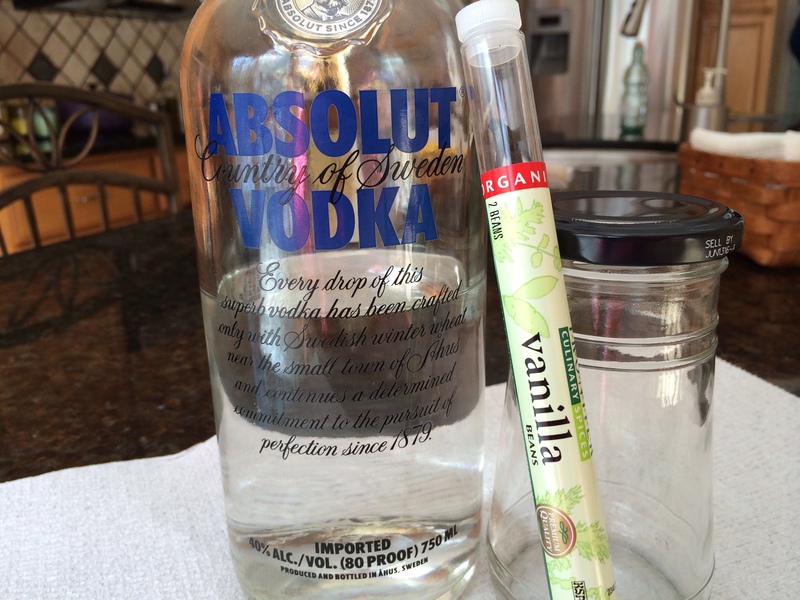 Once your bottle starts getting low, replenish with more vodka and repeat process. I think the pictures below illustrate the process pretty well, but please let me know if you need any clarification. Happy baking! 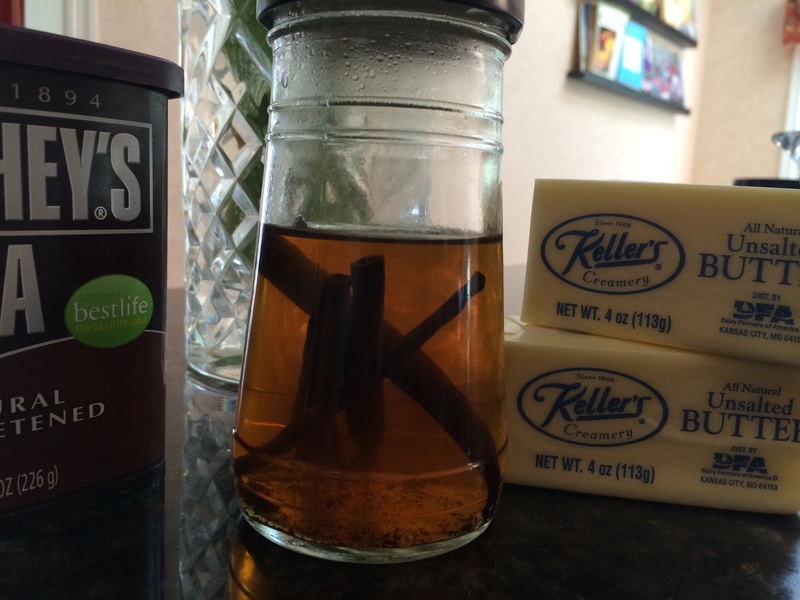 This entry was posted in Desserts and tagged homemade vanilla extract by Mom Mom's Apron. Bookmark the permalink. That’s cool. I never knew you could do that. I think I want to try it! Happy birthday To Nate! And happy 1 yr work anniversary Dawn!! You make it look too easy I swear!! 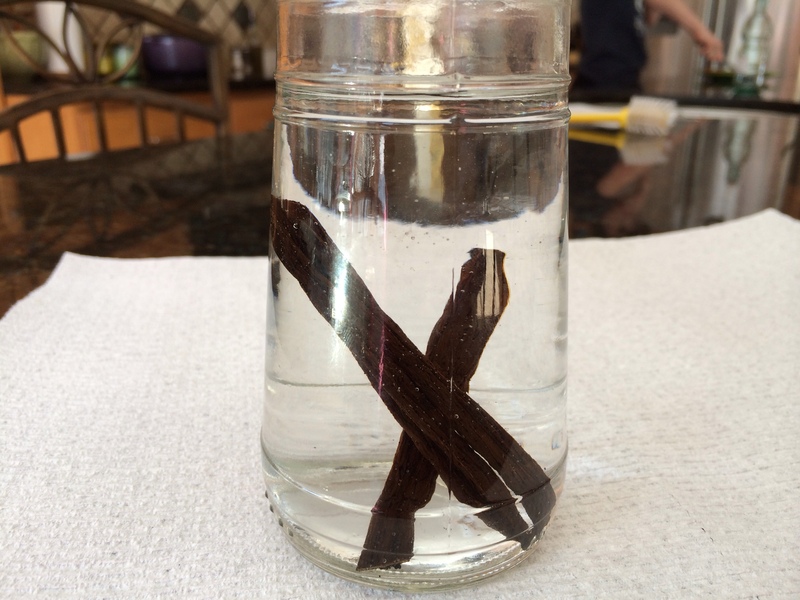 I made the vanilla extract last year. See you soon!